Within a very short span since its inception, Ma’din has made collaborative initiatives with many internationally reputed institutions. It has made agreements with the following institutes. 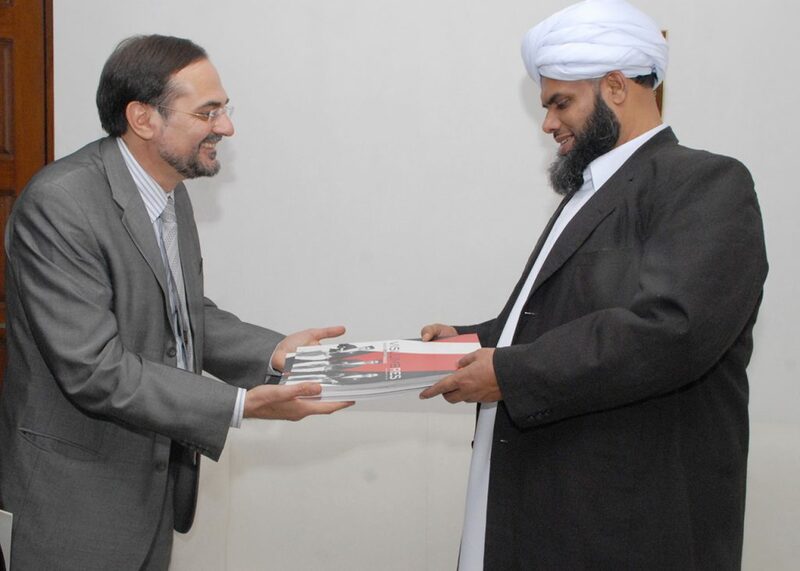 As the first agreement between The International Islamic University and an Indian institution, Ma’din Chairman Sayyid Ibrahim Khaleel Bukhari and rector of IIUM Dr. Syed Arabi Idid signed a memorandum of understanding in a function held at The International Islamic University Campus in Kuala Lumpur, Malaysia. The agreement aimed at boosting co-operation between both institutions by exchanging students and teachers, facilitating research and publication in various fields, conducting international seminars and workshops and credit transfer between faculties. 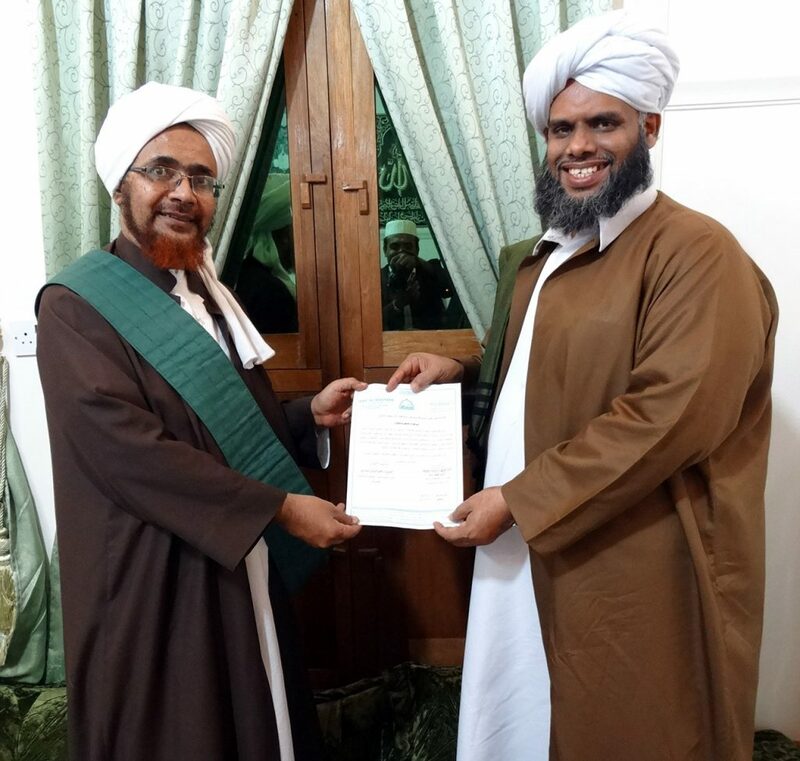 This enabled Indian students to pursue their higher education in 50 faculties and 150 academic programs of The International Islamic University, Malaysia. Ma’din Chairman Sayyid Ibrahim Khaleel Bukhari and Dr. Hayun Maa, Director of Zeng He Foundation and Professor of the History Department at Frostburg University (USA), signed a MoU that enables the academic collaboration of Ma’din Academyy with Zeng He International Peace foundation in the fields of Culture and History. The MoU also facilitates co-operation and joint effort in research regarding Admiral Zeng He, the 15th century navigator and explorer who reached the shores of Kerala). An annual summit is held to strengthen the cultural ties between India and China. Ma’din foreign languages institute offers tuition in mandarin. It also conducts study tours and publishes research papers. 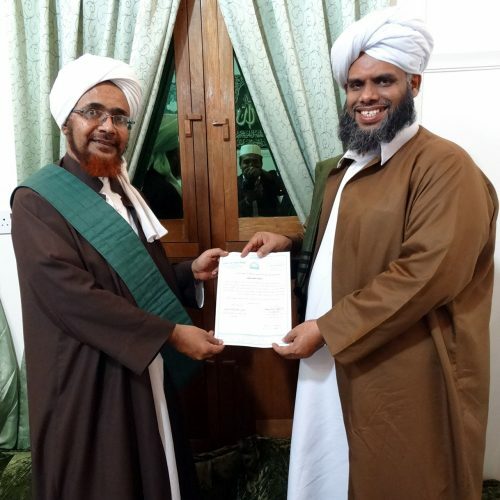 Ma’din chairman Sayyid Ibrahim Khaleel Al Bukhari and Sheikh Habib Umar Bin Hafiz, the founder and Dean of Dar al-Mustafa University Yemen have drafted a Memorandum of Understanding that promotes mutual programmes in learning and training areas as well as for starting joint research ventures on the centuries-old cultural relations between India and Yemen. 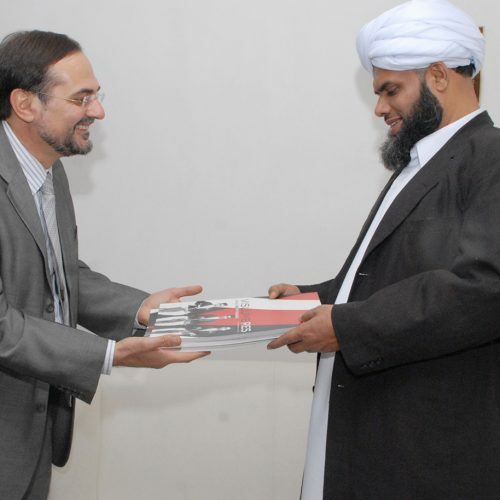 During his visit to the Instituto Cervantes in New Delhi and the discussions which followed with Mr Oscar Pujol Reimbau, the director of the center, Ma’din chairman Sayyid Ibrahimul Khaleel Al Bukhari signed a collaboration agreement between Ma’din Academy and Instituto Cervantes to begin Spanish language courses in Kerala. This is the first initiative from Kerala to teach Spanish from authentic sources. According to the agreement, Instituto Cervantes will offer Spanish language courses from a basic level to an advanced level at Ma’din Spanish Academy, Malappuram, and will provide native Spanish teachers to aid the successful completion of the courses.